A rope w cm long is cut into two pieces. One piece is 5 cm longer than the other. What is the length of the longer piece? 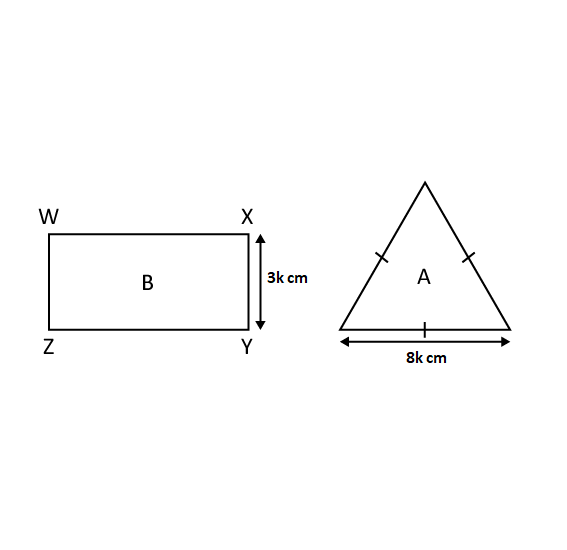 Give your answer in terms of w.
The square ABCD is made up of 4 smaller squares. What is the ratio of the area of the shaded part to the area of the unshaded part? 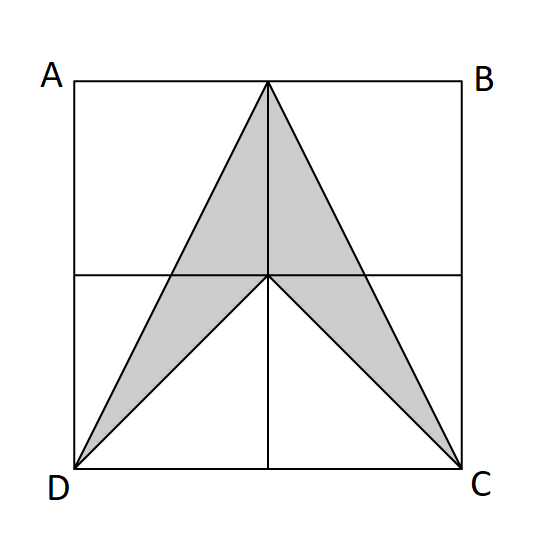 If the length of the square ABCD is 4 cm, what is the area of the shaded part? 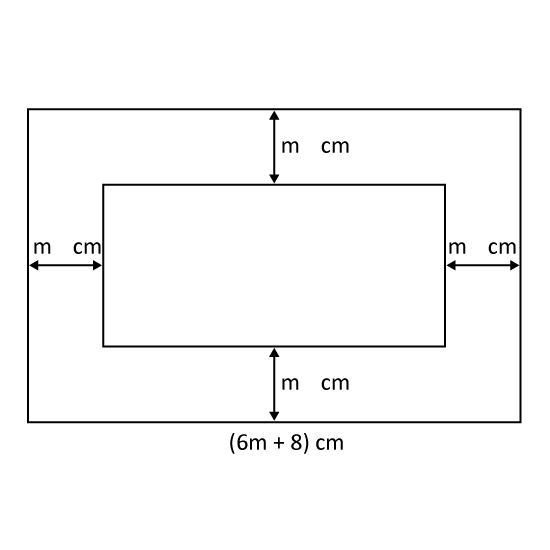 The figure shows a cube. 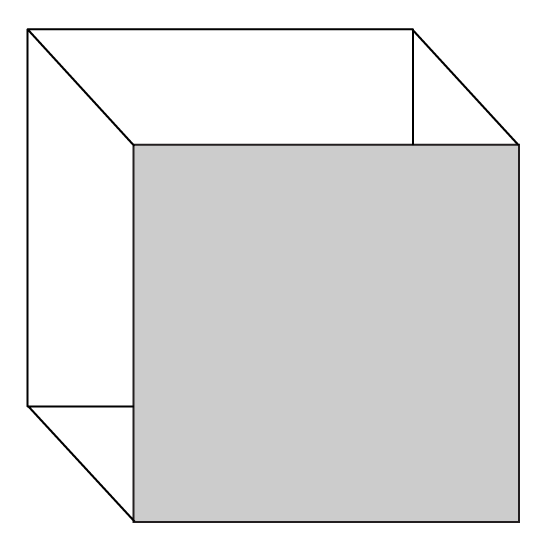 The total length of all the edges of the cube is 156 cm. Find the area of the shaded face.